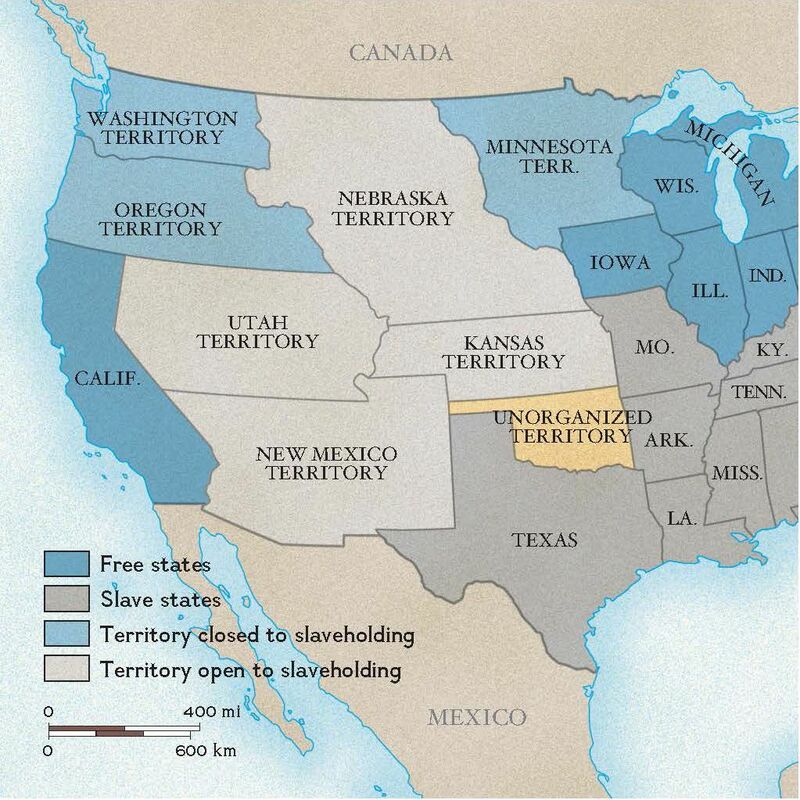 Since the new states of Kansas and Nebraska were north of 36° 30', they should have been admitted as free states according to the Compromises of 1820 and 1850. By allowing popular sovereignty in Kansas and Nebraska, the 1854 act overturned the previous compromises and increased tensions, especially in Kansas. There, pro-slavery forces from Missouri swarmed in to try to sway the vote. For a while Kansas had two governments, one for and the other against slavery. Ultimately the anti-slavery forces won in Kansas, but the fighting that had taken place there foreshadowed the Civil War that would engulf the country in the next decade.